TV BANTER . . . with Joanne Madden: Questions linger over the 1985 New Year's Eve plane crash that killed singer Rick Nelson. Was foul play involved? Questions linger over the 1985 New Year's Eve plane crash that killed singer Rick Nelson. Was foul play involved? 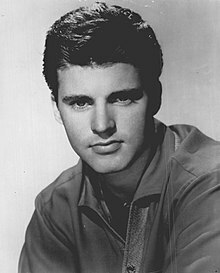 Singer Ricky Nelson, 45, and six others, including his fiancee, Helen Blair, 27, lost their lives in a plane crash on December 31, 1985 - New Year's Eve. The other victims were band members Bobby Neal, 38 (guitarist), Patrick Woodward, 35 (bassist), Rick Intveld, 22 (drummer), And Chapin, 30 (keyboardist) and sound technician/road manager Donald "Clark" Russell, 35. There were two survivors: pilot Brad Rank and co-pilot Ken Ferguson. On December 26, 1985, Nelson and his Stone Canyon Band set out on a three-stop tour of the Southern United States. After performances in Orlando, Florida and Guntersville, Alabama. On that fateful December 31st, Nelson and the band boarded a plane for a New Year's Eve extravaganza at the Park Suite Hotel in Dallas, Texas, They never reached their destination. The plane crash-landed northeast of Dallas, in a farm pasture near the small town of De Kalb Texas. Below is a photo of the crash site. Their plane was a private jet, leased by Rick Nelson. The fourteen-seat aircraft was originally a 1944 Douglas C-47, converted to a DC-3C in 1959. It was once owned by the wealthy Du Pont family, one of America's most prominent industrialists since the 19th century. At one time, it also belonged to rock and roll star Jerry Lee Lewis. The plane, however, had a history of mechanical problems. Almost 32 years after the crash, questions remain unanswered and much remains unclear. 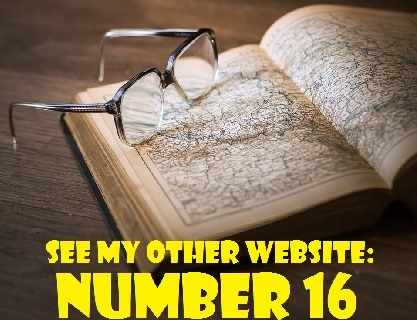 I recently received an email from Katherine, who describes herself as a "Big Fan of Ricky Nelson." Katherine is very disturbed about the lingering questions surrounding the deaths of Nelson and six others. She believes that Nelson's children and the families of the other victims deserve to know the full truth about the cabin fire. A saboteur could have easily boarded the plane prior to takeoff (they would have had to know when takeoff would take place) and frayed the wiring on the heater. Any fire would then burn evidence of tampering. Two scenarios could be someone who had a grudge against Ricky Nelson or someone insanely jealous of his fame. Someone knew of his touring schedule and I find Christmas Eve suspect. Why was Ricky Nelson not with his family for the Christmas holidays? This bothers me to no end. If true someone killed Ricky Nelson, his financee and band members. That is serious. Why kill the others too? Here is what the public does know and what remains unexplained. It is what concerns me the most. On May 28, 1987, The U.S. National Transportation Safety Board (NTSB) released the findings of an 18-mont investigation into the crash.. The board found that the reason for the occurrence of the fire was "undetermined." It concluded that, although a definite cause was still unknown, the crash was most likely due to a fire caused by the plane's cabin heater "acting up." The docket is stored on NTSB microfiche number 29185. Injuries: 7 Fatal, 2 Serious. At 1708:48, while cruising at 6000', a pilot of N711Y advised ATC, "I think I'd like to turn around, head for Texarkana here, I've got a little problem." He was provided a vector & advised of closest airports. Shortly after, he stated he would be unable to reach the airports. At 1711:49, he said there was smoke in the cockpit. While landing in a field at 1714, the aircraft hit wires & a pole then continued into trees where it was extensively damaged by impact & fire. The crew egressed thru the cockpit windows. The passengers did not escape. During flight, the crew was unable to start the cabin heater, despite repeated attempts by the captain. Smoke then entered the cabin. Fresh air vents & cockpit windows were opened, but smoke became dense. The crew had difficulty seeing. The oxygen system & hand held fire extinguishers were not used. Fasteners for the heater door were found unfastened. Examination indicated the fire originated in the aftcabin area, right hand side, at or near the floor line. The ignition and fuel sources were not determined. Investigators initially speculated that the "free-basing" of cocaine, which involves the heating of the drug with a flame, may have ignited the fire. However, even though toxicology tests revealed traces of cocaine in the bodies of several of the passengers, including Rick Nelson, no evidence of drug use during the flight was found, nor was any drug-related paraphernalia discovered after the crash. We do not know for certain whether the plane was on fire before it crashed. There have been conflicting reports. Witnesses have claimed that the plane appeared to be on fire before it crashed, but Jim Burnett, then-NTSB chairman, stated that although the plane was filled with smoke, it landed and came to a stop before it was consumed by flames. We do know that when questioned by the NTSB, pilots Brad Rank and Ken Ferguson delivered conflicting accounts of key occurrences. Co-pilot Ferguson claimed that the cabin heater was acting up after the plane took off. Ferguson stated that Rank kept going to the back of the plane to see if he could get the heater working properly. "I was getting nervous. I didn't think we should be messing with the heater en route," declared Ferguson. After the plane crashed, Ferguson and Rank escaped by climbing out of the cockpit windows and they suffered from severe burns. Although they shouted to the passenger cabin, there was no response. According to Ferguson, Rank instructed him not to tell anyone about the heater. Brad Rank, however, had a different version of the story. Rank stated that he was checking on the passengers when he noticed smoke in the central part of the cabin, where Rick Nelson and Helen Blair were situated. Although he never mentioned that the heater had been malfunctioning, Rank claimed that he went to the back of the plane to check on it. There was no smoke and he found the heater to be cool. He then activated an automatic fire extinguisher, opened the cabin's fresh airlets and returned to the cockpit. We do know that there was negligence on the part of pilot Brad Rank. He was excoriated by the NTSB for not following the inflight checklist, opening the fresh air vents rather than keeping them closed, not providing the passengers with directions on how to use supplemental oxygen and not attempting to put out the fire with the handheld fire extinguisher in the cockpit. The NTSB stated that while these measures may not have prevented the crash, they would have increased the likelihood that some of the passengers would have survived. 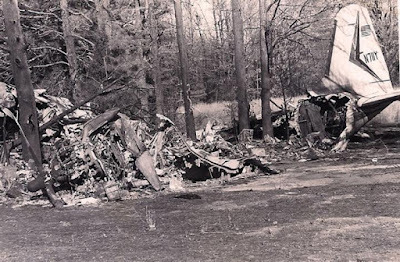 Although the plane crash took place over 30 years ago, some questions remain unanswered regarding the deaths of Rick and the others. The most important question is why, according to the report, was the reason for the occurrence "undetermined." Whether there was foul play or not, the families of the victims deserve more answers. As Katherine pointed out to me, there is no statute of limitations on murder. Even though there is no concrete evidence of foul play, there is foul air. It needs to be cleared.